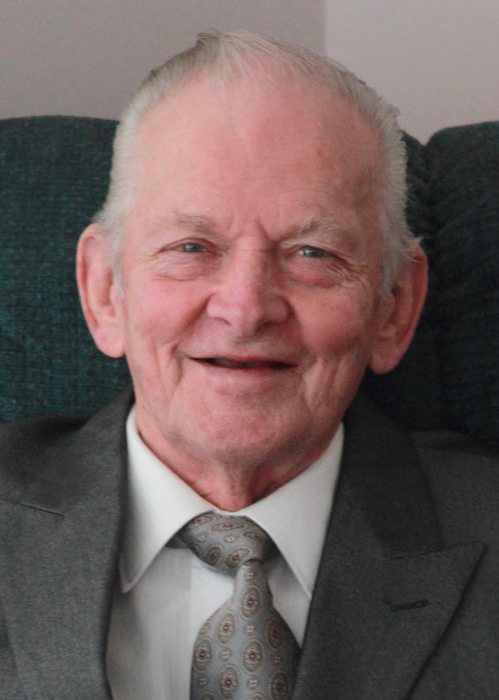 Lindsay ON - Cyril "Cy" Tulk, 82, died peacefully in his sleep Feb 29, 2016 at home with his immediate family. Predeceased by his daughter Deanna, he leaves his wife of 56 years Gail, his daughter Shari​, ​son in law Dave​ and​ his 4 grandchildren Cassandra, Sarah, Alexander and Julia. Cy is predeceased by his brother Ian​ and sister Jane​, and ​will​ deeply missed by his brothers and sister Stan, Lorne and Lorraine as well as nieces, nephews and friends. The son of Stan and Ruth Tulk, Cy was a long term resident of Sudbury, Ontario where he and Gail raised their family. In his early years, Cy went by the stage name Cy Anders and was an up and coming Country and Western star. Heard everywhere from radio play, the Toronto Country and Western club scene to even the stage at the Grand Ole Opry. He came to a crossroads where he had to choose between career and family and, true to his nature, he and Gail chose family. He retired young from the music scene and he and Gail began the yearly seasonal operation of Gail's family fishing camp and business. Cy remained active and hands on in the day to day operations and running of the fishing camp through the rest of his life, including last summer. Cy had a passion for his family and guests and great customer service. Family was always welcome at the camp and he went out of his way to ensure the customer experience was second to none. He was often found regaling stories of the day's catch with the guests and family at dinner time at the camp. Cy was also an active member of the Sudbury community and between himself and Gail, they found themselves either helping maintain some of Sudbury's outdoor ice or fully and single handedly administering the business of Sudbury's amateur ringette circuit, of which his daughters were active members also. He will be missed dearly by friends and family alike. A memorial reception will be held Saturday March 5th, 2016 from noon to 2 pm at Lakeland Funeral Centre in Lindsay. Donations may be made to the Ontario Lung Association.